Time for another unintended consequence of drug prohibition: Alarming reports are pouring in from all over Mexico -- priests are being constantly threatened, extorted and abused by drug traffickers. 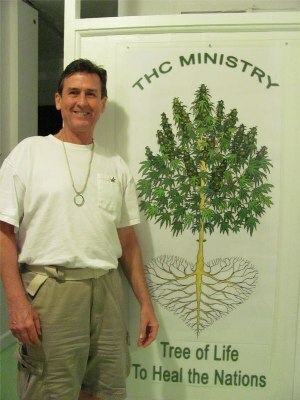 Roger Christie, founder of The Hawaii Cannabis Ministry (THC Ministry), has been ordered held without bail after being arrested along with 13 current or former employees and growers by the DEA on July 8. He and the others are charged with marijuana trafficking offenses related to their alleged distribution of marijuana as a sacrament at the ministry. Christie had been raided by the DEA in March, with agents seizing cash and marijuana at that time, but not arresting him. Federal authorities allege that after that raid, Christie recommenced his marijuana distribution at the ministry. He and the others were secretly indicted last month. Federal Magistrate Judge Kevin Chang originally ordered Christie held without bail at federal prosecutors' request. Christie and his public defender, Matthew Winter, last week filed a motion seeking his release, citing the nonviolent nature of the offenses, Christie's longstanding ties to the community, his lack of a criminal record, and his willingness to abstain from marijuana use or distribution pending trial. A federal pre-trial services report also recommended that Christie be freed on bail. But prosecutors fought back with a 46-page memorandum in opposition. Because Christie allegedly recommenced marijuana distribution after the March raids, that made him "a danger to the community and... no conditions/combination of conditions could assure the safety of the community," they wrote. On Friday, US District Court Judge Alan Kay agreed with prosecutors. Now, Christie will be held behind bars until trial because the pot-loving minister is "too dangerous" to be freed on bail. The DEA issued an NPRM to place 5-MeO-DMT in Schedule I and has reopened the period for public comment because the first notice was defective. So far one substantial objection has been posted which objects primarily on grounds the Controlled Substances Act is unconstitutional rather than the sham findings for placement in Schedule I. I'll copy some of that argument below from PUBLIC SUBMISSION DEA-2009-0008-0007.1. Docket No. DEA-331 has gotten confusing because its documents are split between two folders but comments can be submitted to the newer folder. Why not mosey over to Regulations.gov, do a search for "dea-331", read what's been posted and add your two cents worth. If we want to end the drug war we should be objecting to scheduling decisions and challenging the Constitutionality of the CSA at every opportunity. NPRMs give a chance to speak publicly without having to be on trial or able to hire lawyers. Sometimes comments do change a proposed rule and maybe a good enough argument will give a person a shot at pro bono representation. For the latter you'd normally want to identify why you're in a class that can demand a hearing and make that demand during the comment period. Be sure to read the technical stuff about what formats DEA will accept, how the comment has to identify the Docket No. it applies to and what has to be done to prevent personal identifying information from being posted. Comments can also be emailed as attachments to [email protected] or sent to the snail mail address in the notices. This is from the already posted comment I mentioned: "Congress shall make no law respecting an establishment of religion, or prohibiting the free exercise thereof; or abridging the freedom of speech, or of the press; or the right of the people peaceably to assemble, and to petition the Government for a redress of grievances." -- First Amendment to the United States Constitution My first objection to the proposed rule is that the DEA is acting through delegation of a power that is Constitutionally invalid. The scheduling system of the Controlled Substances Act has been fatally flawed from its inception by its violation of the First Amendment. The Comprehensive Drug Abuse Prevention And Control Act of 1970 is deliberately not religiously neutral and one of the functions of the Controlled Substances Act is to act as a means of enforcing a primitive, muddled political-religious orthodoxy which has evolved into a primitive, muddled state religion. The CSA was intended to prefer some religious beliefs and organizations. The CSA was intended to discriminatorily and prejudicially suppress disfavored free exercise of religion that could not be extinguished. "The term 'controlled substance' means a drug or other substance, or immediate precursor, included in schedule I, II, III, IV, or V of part B of this subchapter. The term does not include distilled spirits, wine, malt beverages, or tobacco, as those terms are defined or used in subtitle E of the Internal Revenue Code of 1986." -- 21 U.S.C. 802(6) 21 U.S.C. 802(6) violates the Establishment Clause by giving preference to some religions. The exclusion of alcohol from possible scheduling as a controlled substance includes wine which is used sacramentally, ritually or both by many major religious denominations in the United States. This preferment is clearly no accident though it is unspoken. The Comprehensive Drug Abuse Prevention And Control Act of 1970 could not conceivably have passed if it had not given this special protection to religions which so many members of Congress (and the voters they depended on to remain members of Congress) belonged to. [snip] The CSA was passed at a time when many people, including politicians, openly expressed fear that use of certain drugs was leading to "new" and unorthodox religious beliefs within the general population, deluded mysticism, increasing numbers of people with faith who did not belong to organized religious institutions, increasing popularity of "foreign" religions and was a threat to well established religious denominations by fostering defection, heresy or schism. Extravagent claims and beliefs about religious use of psychedelic drugs from proponents and oponents were near their peak in 1970 with the news media giving the most attention to the most sensational claims. Attempts to found "psychedelic churches" or have drug laws overturned on First Amendment grounds were very troublesome to many members of Congress. Political opposition to these religious "threats" was openly advocated at that time. There was and is a remarkably anamistic view of "drugs" by opponents of their use or "abuse" and an overlapping sense of them as tools of the Devil. Religious repression has always been more than an "incidental" effect of the CSA. "The term 'controlled substance' means a drug or other substance, or immediate precursor, included in schedule I, II, III, IV, or V of part B of this subchapter. The term does not include distilled spirits, wine, malt beverages, or tobacco, as those terms are defined or used in subtitle E of the Internal Revenue Code of 1986." -- 21 U.S.C. 802(6) Placing a substance in a certain Schedule or removing it from a certain Schedule is primarily based on 21 U.S.C. 801, 21 U.S.C. 801a, 21 U.S.C. 802, 21 U.S.C. 811, 21 U.S.C. 812, 21 U.S.C. 813, 21 U.S.C. 814 and arbitrary decisions. The restrictive medical use provisions of all schedules prohibit religious use except when the religious use is identical to medical use as the government defines it. Even in these instances the ability to exercise religious/medical use of controlled substances is dependent on assent from government authorized people and institutions. The churchly dispensers or withholders of "gifts of grace" and healing who often abrogate choice of medicines for reasons that have little or nothing to do with medical expertise. This highlights the degree to which the Free Exercise and Establishment Clauses address intertwined matters and the degree to which the federal government directly regulates the practice of medicine and the practice of pharmacy within the States (which is more of a Tenth Amendment issue). Code Of Federal Regulations SPECIAL EXEMPT PERSONS Section 1307.31 Native American Church. The listing of peyote as a controlled substance in Schedule I does not apply to the nondrug use of peyote in bona fide religious ceremonies of the Native American Church, and members of the Native American Church so using peyote are exempt from registration. Any person who manufactures peyote for or distributes peyote to the Native American Church, however, is required to obtain registration annually and to comply with all other requirements of law. This exemption applies to ingestion of peyote; "nondrug use" is clearly a theological decision not a scientific one. There are indisputabley grave questions about the religious neutrality of the Controlled Substances Act since controlled substances are restricted from nonmedical use, wine is one of only four substances excluded from definition as a controlled substance and religious use is nonmedical use. These Constitutional issues have not been acknowledged by the Supreme Court when stating the Controlled Substances Act is a "neutral law of general applicability" and determing the proper standard of scrutiny for conflict with the First Amendment. [end quote] The DEA is tentatively planning to issue an NPRM in December to end the "peyote exemption" for the Native American Church. If it does issue that NPRM there will be plenty of lawyers rushing to defend the NAC and maybe some can be snagged for a direct challenge of the Controlled Substances Act. Especially likely if any NAC people decide it's better for them to challenge the CSA's Constitutionality than just seek continued special exemption from a law that oppresses everyone. Arizona's law protecting religious freedom does not apply to a man convicted of smoking marijuana while driving, the state Supreme Court ruled Monday. The ruling came in Arizona v. Hardesty. In that case, Daniel Hardesty was arrested while driving in Yavapai County and charged with marijuana possession. At trial, he testified that he was a member of the Church of Cognizance, an Arizona-based religion that says it embraces neo-Zoroastrian tenets and uses marijuana for spiritual enlightenment. He argued that Arizona's 1999 law limiting the state's ability to "burden the exercise of religion" meant he could not be prosecuted because he was exercising his religious beliefs. The trial judge disagreed, and Hardesty was convicted. He appealed to the state Supreme Court, and has now lost there, too. In a unanimous opinion, the justices held that while the state religious freedom law mandates restrictions on religious practices only if it shows a compelling interest and that the restrictions must be the "least restrictive means of furthering that interest," the state does have a compelling interest in regulating marijuana use and Hardesty's claim that the Church of Cognizance allows him to use marijuana anywhere or any time, including driving, made it clear that the "least restrictive means" was an outright ban on marijuana. Chief Justice Rebecca White Berch, who authored the opinion, made a distinction between federal laws that allow Native American Church members to use peyote without fear of prosecution under state law and the religious freedom claim made by Hardesty. There was an "obvious difference" between the two situations, Berch said. "Members of the Native American Church assert only the religious right to use peyote in limited sacramental rights. Hardesty asserts the right to use marijuana whenever he pleases, including while driving," she wrote. Monday's ruling was the second defeat in as many years for the church. Church founders Dan and Mary Quaintance were convicted of marijuana possession and conspiracy to distribute marijuana after being stopped with 172 pounds of pot in New Mexico. A federal judge in New Mexico rejected their religious freedom arguments. Dan Quaintance is currently serving a five year prison sentence, and Mary Quaintance is doing two to three years. Arizona’s law protecting religious freedom does not apply to a man convicted of smoking marijuana while driving, the state Supreme Court ruled Monday. The ruling came in Arizona v. Hardesty. In that case, Daniel Hardesty was arrested while driving in Yavapai County and charged with marijuana possession. At trial, he testified that he was a member of the Church of Cognizance, an Arizona-based religion that says it embraces neo-Zoroastrian tenets and uses marijuana for spiritual enlightenment. He argued that Arizona’s 1999 law limiting the state’s ability to "burden the exercise of religion" meant he could not be prosecuted because he was exercising his religious beliefs. The trial judge disagreed, and Hardesty was convicted. He appealed to the state Supreme Court, and has now lost there, too. In a unanimous opinion, the justices held that while the state religious freedom law mandates restrictions on religious practices only if it shows a compelling interest and that the restrictions must be the "least restrictive means of furthering that interest," the state does have a compelling interest in regulating marijuana use and Hardesty’s claim that the Church of Cognizance allows him to use marijuana anywhere or any time, including driving, made it clear that the "least restrictive means" was an outright ban on marijuana. Chief Justice Rebecca White Berch, who authored the opinion, made a distinction between federal laws that allow Native American Church members to use peyote without fear of prosecution under state law and the religious freedom claim made by Hardesty. There was an "obvious difference" between the two situations, Berch said. "Members of the Native American Church assert only the religious right to use peyote in limited sacramental rights. Hardesty asserts the right to use marijuana whenever he pleases, including while driving,'' she wrote. Monday’s ruling was the second defeat in as many years for the church. Last year, church founders Dan and Mary Quaintance were convicted of marijuana possession and conspiracy to distribute marijuana after being stopped with 172 pounds of pot in New Mexico. A federal judge in New Mexico rejected their religious freedom arguments. Dan Quaintance is currently serving a five year prison sentence, and Mary Quaintance is doing two to three years. Candidates must have a proven track record of strong, results-oriented management, as well as outstanding fundraising abilities and excellent oral and written communication skills. Although it is not necessary to be an ordained clergy person, the executive director must have credibility within the faith community and be able to persuade and organize religious leaders from a wide variety of denominations. He/she must be a strategic thinker with high motivation, persistence, resourcefulness, and focus. Nonprofit management experience is a plus, whether or not faith-based. The executive director will maintain IDPI at its present level of operation (three employees) and soon expand the organization into a larger, more formidable opponent of the "war on drugs." The executive director reports to the organization's board of directors, develops the annual budget, and establishes measurable goals in collaboration with other drug policy reform organizations. 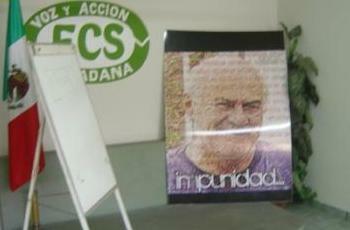 To these ends, he/she will oversee IDPI's fundraising efforts (including a membership renewal program) and directly solicit contributions from large donors; ensure that IDPI's strategy is sound and the tactics are effective and cost-efficient; recruit, hire, and manage the staff, with an emphasis on setting and meeting clear and ambitious goals; ensure that IDPI remains in compliance with relevant non-profit laws and financial regulations; and participate in some of IDPI's programmatic work, such as directly educating and soliciting the involvement of religious leaders, generating favorable media coverage, and speaking at public forums. To apply, please visit http://www.idpi.us for application process and follow application instructions.